The perfect life or the perfect lie? THE PERFECT LIFE . . . OR THE PERFECT LIE? Cassie had it all - the fairytale wedding, the stunning home, the perfect husband. But when she arrives on the intensive care ward at St Catherine's hospital in a coma, it soon becomes clear that she has a secret; a secret that changes everything. Alice, the chief nurse on the ward begins to feel a connection with Cassie and can't help but wonder if things are not quite as they seem. Frank, another patient, can hear and see everything around him but cannot communicate. He understands that Cassie's life is in danger and only he holds the truth, which no one can know and he cannot tell . . .
A gripping and emotional story about a young woman fighting to survive and the shocking secret that could destroy her. 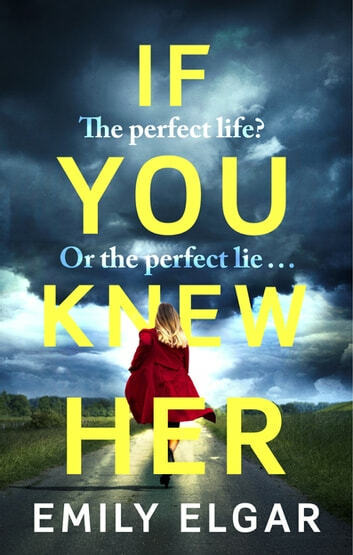 If you like Clare Mackintosh, Caz Frear, Jane Corry, Adele Parks, Laura Marshall, Amanda Prowse or Louise Jensen then you will be hooked by this psychological thriller. 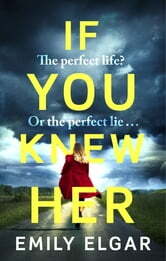 Readers are gripped by IF YOU KNEW HER . . .